These calligraphic styles are written with the pen held at an angle between 40- 45 degrees. Letters should be written with the minimum number of pen lifts, most can be written with a single stroke. The set also includes a polished brass Round Hand reservoir used to hold a small amount of ink whilst writing. The reservoir can easily be removed and transferred to any of the 11 nibs included, the nibs can be used with any dip pen or calligraphy ink. The Victorian styled wooden box is finished to a high standard with polished brass hinges and clasp closure. 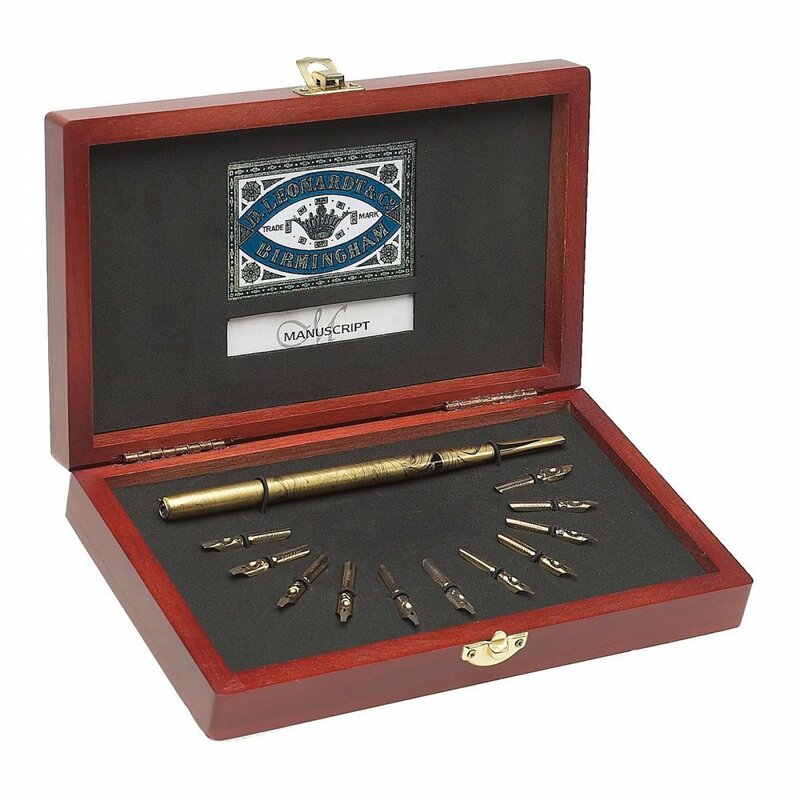 This Manuscript Victoriana Round Hand Calligraphy Collector's Set contains the following: 1 Wooden Nib Holder, an ink reservoir, and the following 10 round hand nibs: DP2300BR O, DP230BR 1, DP231BR 1.5, DP232BR 2, DP233BR 2.5, DP234BR 3, DP235BR 3.5, DP236BR 4, DP237BR 5 and DP238BR 6.